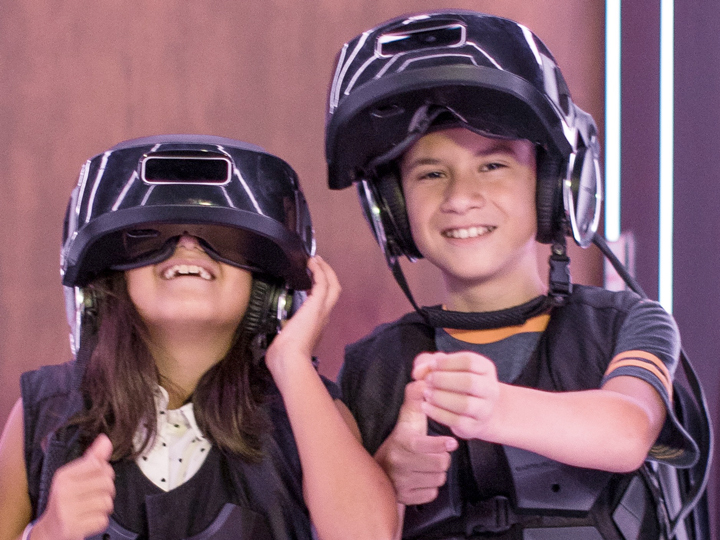 Blast off into battle—or crash through the internet—in these exhilarating hyper-reality experiences where you and your crew become part of the adventure! In Star Wars™: Secrets of the Empire, embark on a mission to capture Imperial intelligence vital to the Rebellion’s survival. And, starting November 21, journey with Wreck-It Ralph and Vanellope into the depths of the internet in Ralph Breaks VR.